Anderson County is located in northwest South Carolina and bordered by the state of Georgia. It is nestled at the foot of the Blue Ridge Mountains and surrounded by several lakes and rivers. It is a thriving cultural and economic community, with the City of Anderson serving as the County seat. It is home to Historic Pendleton. In fact, the entire town of Pendleton is on the National Register of Historic Places and it comprises one of the largest historic districts in the nation. 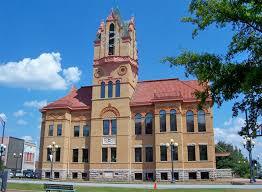 Some of those historic places are antebellum homes, churches, cemetery, downtown buildings, and plantations. Many of them are open to the public. St. Paul’s Episcopal Church and Cemetery is on the Register and it is where the remains of Thomas Green Clemson and his wife, Anna are buried. Thomas Greene Clemson was the founder of Clemson College (currently Clemson University). Anderson County is steeped in history, not just Pendleton, but across the entire County. Plan a visit and take a walking tour of some of the historic home-sites and buildings or visit one of the many State parks.